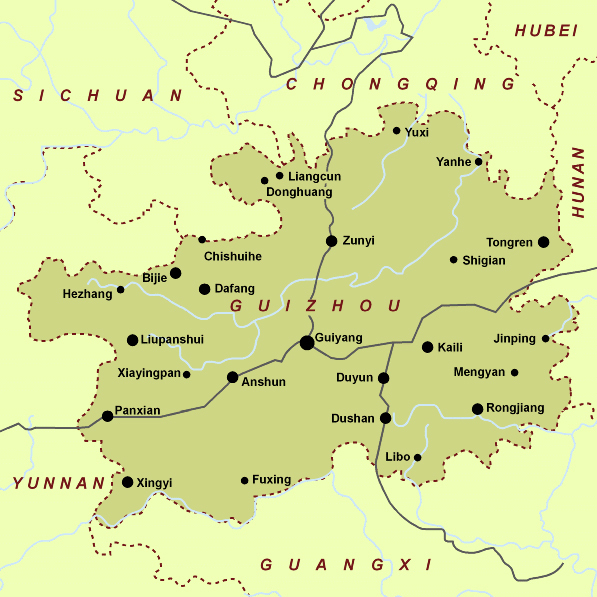 Located in the southwest of China, Guizhou Province borders Sichuan and Chongqing to the north, Yunnan to the west, Guangxi to the south and Hunan to the east. 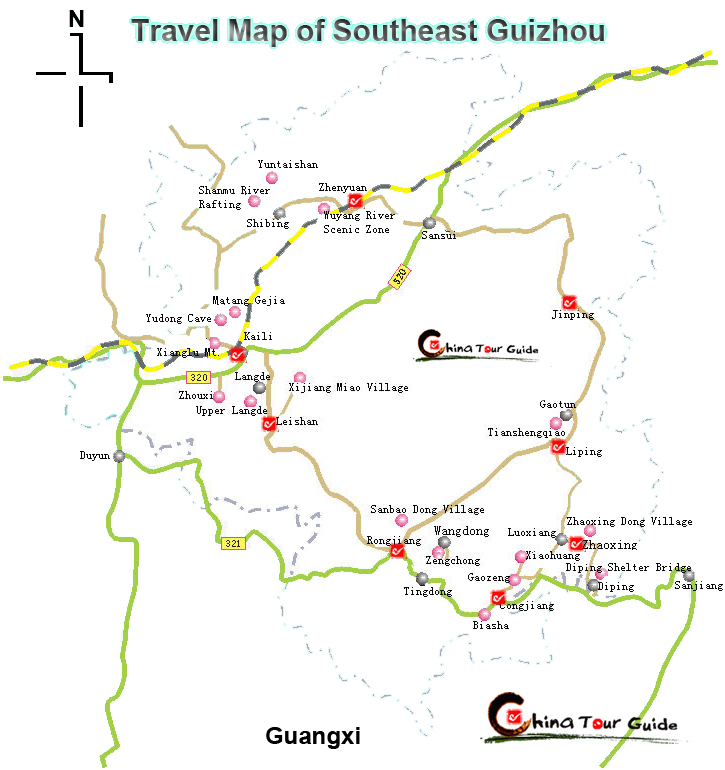 Remarkably, Guizhou province is in the center of the world 's largest karst landscape. 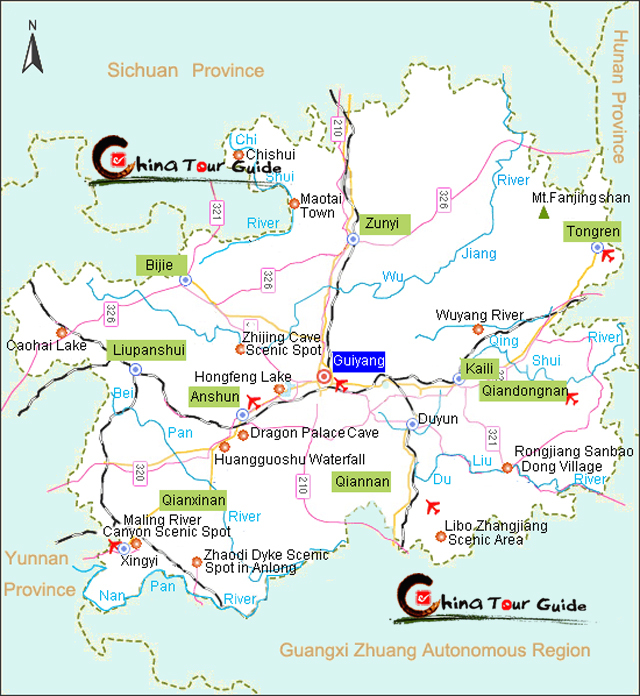 Mountains and hills take up over 97% of Guizhou and dotted with valleys, ravines, crags, and cliffs. This unique landscape is attractive to hikers and photographers who want to see the scenery firsthand. 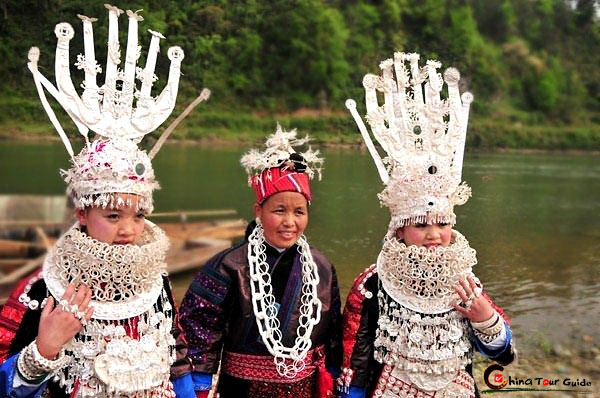 Guizhou is also a province where various ethnic groups live in compact communities. 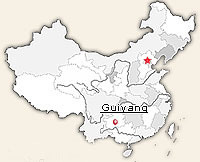 Different minority groups account for one-third of the province's total population of 39 million. Unique natural scenery, rich ethnic traditions, splendid culture heritages, and a pleasant climate appeal to a great number of tourists.